We have all heard the question, whether in real life or see it in a movie, “Mommy/Daddy where do babies come from?” Then comes an awkward silence and some stalling until either “the talk” is done or in other instances some other reason is told to avoid the conversation until they are older. Today I want to explore “Where Does Money Come From?” I saw this comic and it got my creative juices flowing! 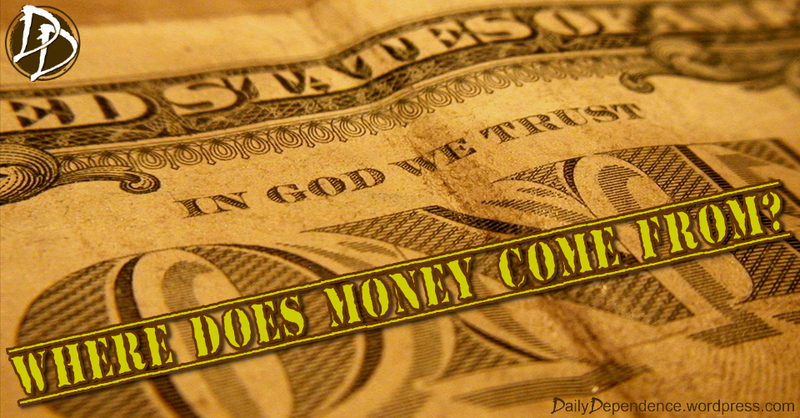 The age old question, if it takes money to make money then how do you get ahead? But I think that this Dilbert comic nails it! God is the answer and if we can grasp it, it will forever change our path in our career and financial peace! Don’t get hung up with the agricultural references of crops barns and vats…substitute those for paycheck and bank account. One thing that I have noticed is that if I do not make my tithes (or 10% of my income) and offerings (above the tithe) a priority in my budget, there will always be something else that will eat up the money. When it says “First Fruits” here, it means above all things, first and foremost, Honor the Lord with your wealth which He has provided for you. 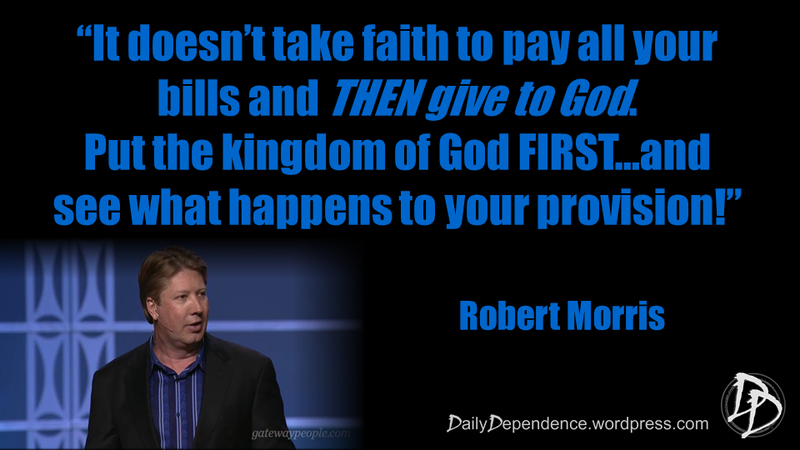 So the principle is to bring to God the first 10% of what you earn before you pay all the other bills. 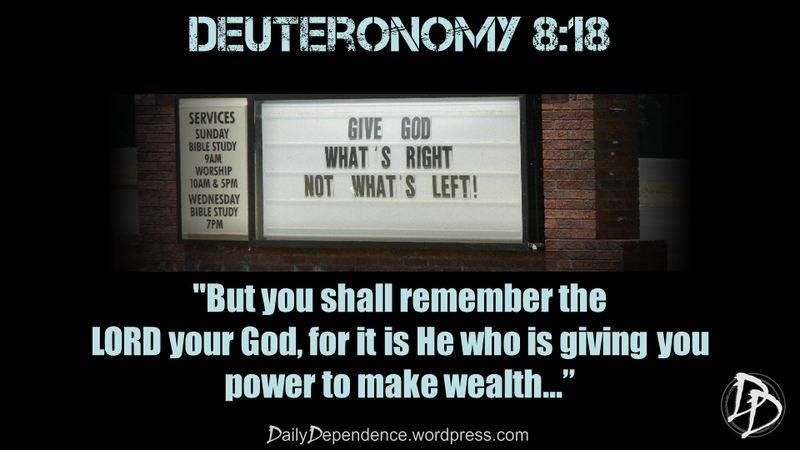 I love that and when you overlay the truth of Deuteronomy 8:18, things come into focus a little better, don’t they? God deserves our best, and to make Him, and the building of His kingdom first in our lives. If we don’t make our tithe first on the budget that is exactly what will happen, God will get the leftovers, assuming of course there is anything. If you do place God first, His blessings will overflow and you will see a radical change in your finances!! Now before this post gets derailed, I am not talking about “prosperity gospel” where you “give to get,” that is the farthest thing from the truth!! 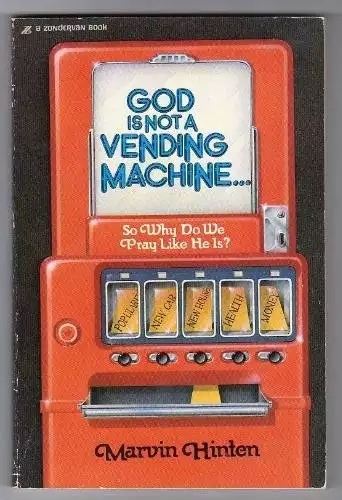 God is not a vending machine! I love this verse because it is the only place in the Bible that God challenges us to “Test” Him. And if we pass the test he promises to throw open the floodgates of heaven (or other translations say the “windows of heaven”) and bless us so much that we will not have room enough to store it. Now that is what I want. He also promises to prevent pests or the enemy from devouring what we have and that is not just finances and possessions but our marriage, our children and our health. So you see we really can’t afford not to give our tithe to the Lord. I could do an entire post just on these three verses alone, so we are not going to go much deeper in terms of offerings or extravagant giving but just know, the closer you get to God, and the more you love God, the more you will want to give to the building of His kingdom! So if you want to see a change in your finances, first change your heart and give your tithe with true appreciation of everything that God has given you. Believe that 90% with God’s Blessing is far greater that 100% without! 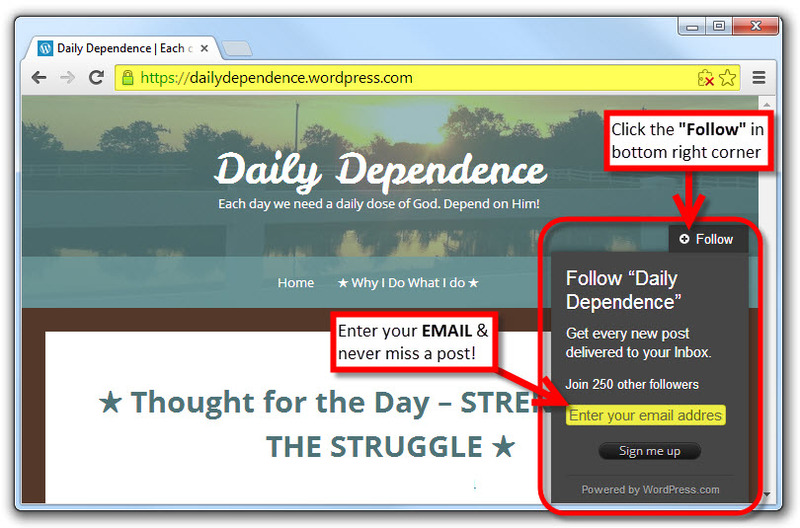 If you are interested in learning more about managing your finances God’s way, check out this post called ★ Thought for the Day – Keeping Up With The Joneses? ★.